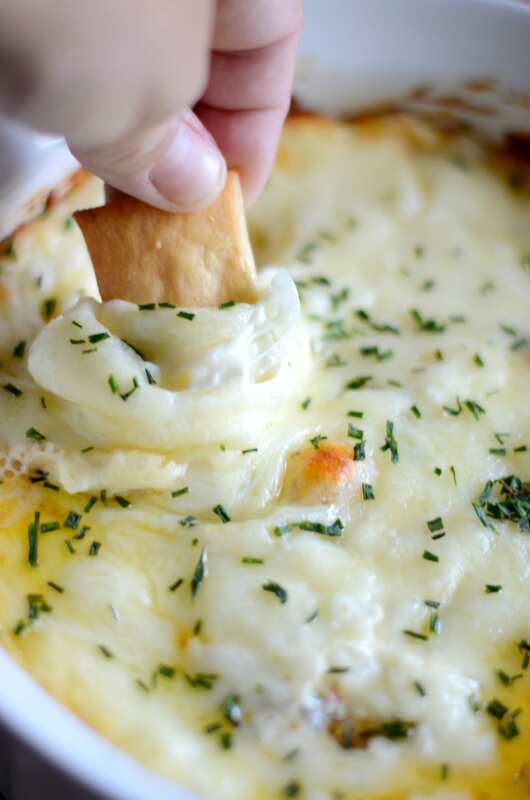 Need a dip that is full of flavor and easy to make? 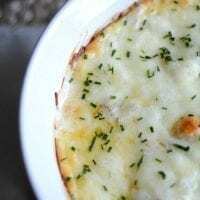 Enter the shrimp scampi dip! Thank you SeaPak for sponsoring today’s recipe! All opinions and recipe ideas are my own. Be sure to check out SeaPak for easy seafood meal options! Hey yall! Do you know what I love most about fall? Besides the cooler weather and the holidays. I love fall sports! Oh yes. I am a fall sports person. My favorite? Baseball, of course! The playoffs and world series are starting and man do I love it. I played softball back in my high school days so watching fall baseball brings back memories. Late night practices, early morning practices, laughing with my friends, crying with my friends. Jumping fences and breaking your ankle. That’s how I started my freshmen year of softball, by the way. With a broken ankle. And I jumped the fence in order to be on time to practice. It didn’t work out so well. Of course there is also football, basketball and hockey in the fall as well. I like them all, especially since they give me a reason to cook. And I love to go all out when we have people over. I don’t mean super fancy or dressed up kind of all out. I mean come as you are and eat tons of delicious food all out. Easy delicious homemade food. And lots of it. I like to have a big spread to make sure people can be sure to find something they like. I’m also talking super easy dishes too. Dips, wings, sandwiches. Easy snacks that people can eat while chatting about the game. 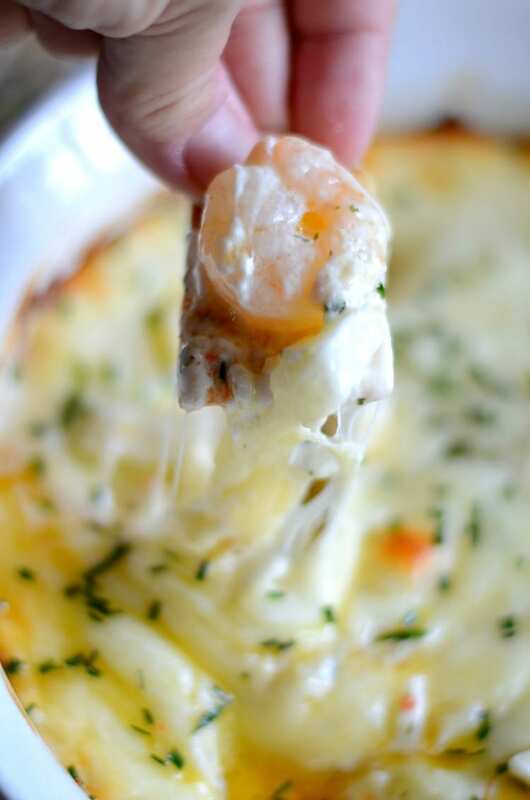 I added this SeaPak shrimp scampi dip to our snack line-up and oh my goodness! 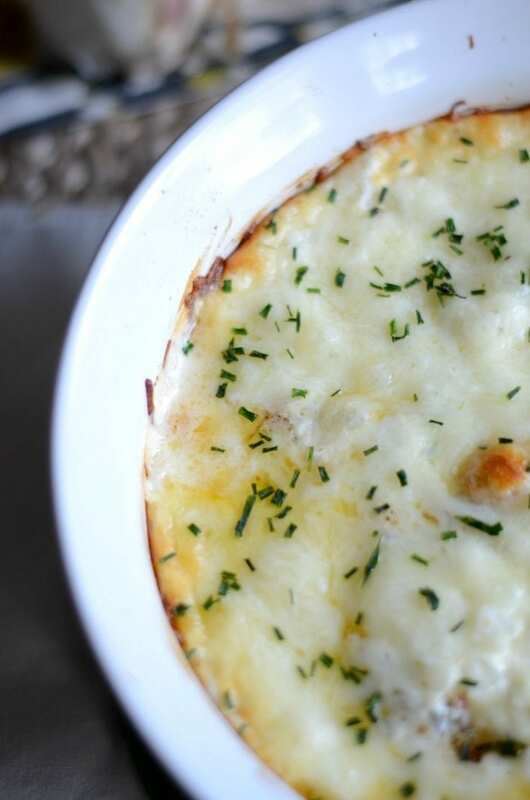 It’s heaven in warm, ooey, gooey, extra melty cheese form. It’s the perfect addition to any party table. Plus, October is national seafood month and SeaPak makes it easy to add delicious shrimp into your appetizers or meals. You can find SeaPak at most major grocery stores (I grab mine from Kroger!) or use their product locator to help. 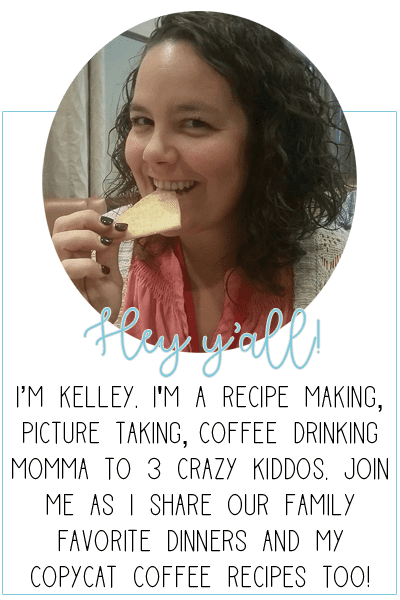 You can also find them on social media (Facebook, Pinterest, Instagram) sharing great shrimp-tastic recipes. In a large mixing bowl, combine the cheese cream, 1 1/2 cup cheese, onion, garlic, chives, salt and pepper (to taste) and frozen shrimp scampi. Press the mixture into a baking dish and top with remaining cheese. Bake for 20 minutes. Remove, top with additional chives and enjoy with pita chips or crusty bread.